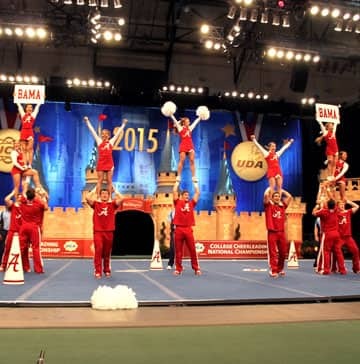 More than 200 events take place each year at the ESPN Wide World of Sports Complex. With an unparalleled roster of facilities and partners, we are committed to taking sports and competition to the next level for athletes and fans alike. 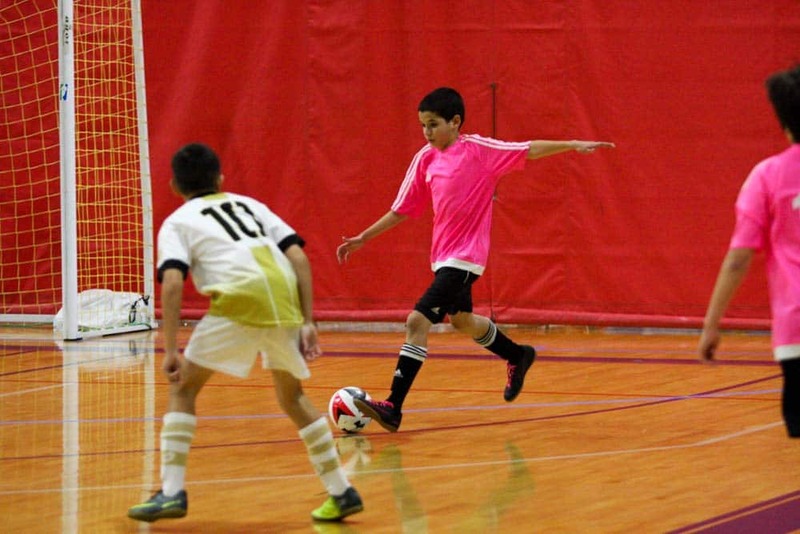 Using techniques developed in the Spanish premier league, IdeaSport ranks as one of America’s foremost soccer academies. Their proven methods and professional staff provide world-class training for youth players of all ages. 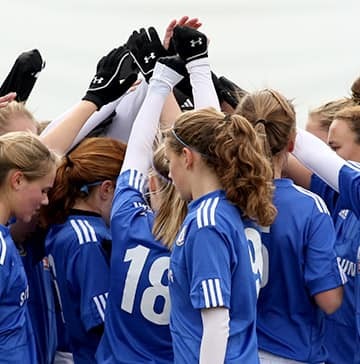 Disney Soccer Showcase Qualifier (U15-U19) may be your ticket to the Proving Ground. The champions will earn automatic selection into Disney Boys Soccer Showcase in December and Disney Girls Soccer Showcase in January 2020. NEW in 2019—an Open Division for U11-U18/19 athletes. Disney Cross Country Classic attracts numerous Colleges, High Schools, and Middle Schools from around the country. The fast 5K and 8K courses provide athletes a variety of terrain and a unique view of ESPN Wide World of Sports Complex. The re-imagined Disney Girls Soccer Showcase is the ultimate place for top clubs to be seen by college coaches. NEW – U11-14 age groups also get the chance to experience the same quality competition and top-notch tournament experience alongside their older counterparts! The re-imagined Disney Boys Soccer Showcase is the ultimate place for top clubs to be seen by hundreds of college coaches looking for prospective student athletes. New!– younger U11-14 boys age groups also get the chance to experience the same quality competition and top-notch tournament experience as their older counterparts! End 2018 with a bang and ring in the new year with the excitement of baseball at Walt Disney World® Resort! Join the 2019 Pro Bowl in Orlando for a week-long celebration of football’s brightest stars, kicking off January 23, 2019 at ESPN Wide World of Sports Complex! 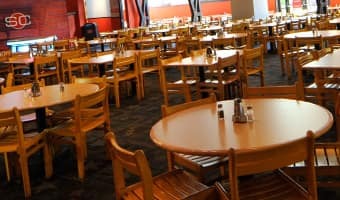 Highlights include team practices, NFL FLAG Championship games and an interactive fan zone for the whole family. Magical talent is discovered here! 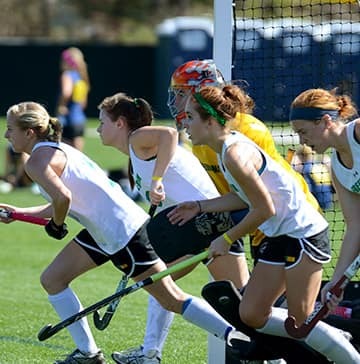 Disney Field Hockey Showcase, a USA Field Hockey sanctioned event, is the ultimate place for top field hockey clubs to be seen by college coaches looking for great field hockey talent. ESPN Wide World of Sports welcomes Diamond 9 for one of the premier national fastpitch showcase events, as some of the top 10U-18U travel teams in the country compete. ESPN Wide World of Sports is proud to host the USA Competitions Presidential Classic. ESPN Wide World of Sports Complex is home to 2019 Atlanta Braves Spring Training! Compete in a "one of a kind" baton twirling championship at the ESPN Wide World of Sports Complex and Epcot, plus in parades at Magic Kingdom park—designed for soloists, pairs and more. Auxiliary units, pom and dance performers can also take part in championship events. Spend your winter break outdoors at ESPN Wide World of Sports Complex! Disney President's Day Soccer Festival will be filled with great soccer competition and great fun for the whole family at the Walt Disney World® Resort. ESPN Wide World of Sports welcomes Diamond 9 for week one of the premier college fastpitch softball spring event. Kick off the college season with the top Division I teams. High school spring training at the ESPN Wide World of Sports Complex at Walt Disney World® Resort in Florida will take your team to new heights. Featuring: Baseball, Golf, Lacrosse, Rugby, Softball, Tennis and Track & Field. College spring training at the ESPN Wide World of Sports Complex at Walt Disney World® Resort in Florida will take your team to new heights. Featuring: Baseball, Golf, Lacrosse, Rugby, Softball, Tennis and Track & Field. ESPN Wide World of Sports welcomes Diamond 9 for week two of the premier college fastpitch softball spring events. Kick off the college season with the top Division I teams. The AAU will once again host the Volleyball Classic Event at the ESPN Wide World of Sports complex. The AAU is proud to host the Girls Spring and Summer Basketball Events at the ESPN Wide World of Sports Complex for the 2019 season. The AAU is proud to host the Boys Spring and Summer Basketball Events at the ESPN Wide World of Sport Complex for the 2019 season. Founded in 1968, this international basketball event provides an opportunity for boys and girls to excel in the game of basketball. Players may be no taller than 5 foot 1 inch. Players may not be older than 12. The 2019 MAAC Men's & Women's Golf Championships features both the men's and women's defending champions, Siena College and Quinnipiac University, respectively. The MAAC's top individual competitors will also showcase their skills throughout the championships. ESPN Wide World of Sports is proud to once again host the Special Olympics Florida Summer Games. Come enjoy an exciting weekend at ESPN Wide World of Sports Complex’s largest 3-day soccer tournament! Disney Memorial Day Soccer Tournament attracted more than 600 teams in 2018 — that resulted in more than 1,000 soccer matches in just 3 days! 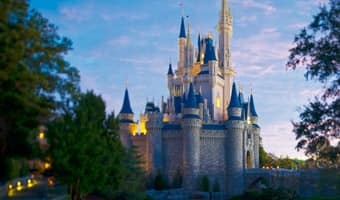 Start the Summer baseball season with a Disney Baseball Tournament! Disney Memorial Day Baseball Classic at ESPN Wide World of Sports Complex blends ESPN entertainment with Walt Disney World® Resort! ESPN Wide World of Sports welcomes Diamond 9 for one of the premier national fastpitch showcase events, as some of the top 14U, 16U, and 18U travel teams in the country compete. 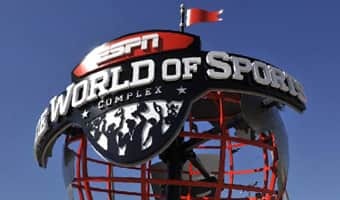 ESPN Wide World of Sports Complex is proud to host the 2019 AAU Gymnastics National Championships at Walt Disney World® Resort. ESPN Wide World of Sports complex is excited to once again host the AAU Jr. National Volleyball Championships Event. AAU Wrestling returns to ESPN Wide World of Sports Complex this summer. Athletes from a variety of weight classes and divisions will put their skills to the test. The AAU is proud to host Summer Baseball at ESPN Wide World of Sports Complex this summer. ESPN Wide World of Sports complex is excited to host the AAU Boys' Jr. National Volleyball Championships Event. Disney International Salute to Baseball, a fun-filled tournament in the heart of summer at ESPN Wide World of Sports Complex is the perfect way to celebrate the Fourth of July while competing in America's pastime at Walt Disney World® Resort! The ESPN Wide World of Sports Complex at The Walt Disney World Resort ® will host the AAU Primary Nationals. This Track & Field event is designed to offer single age group competition for athletes that are 8 years old and younger. The Disney Cup International has attracted teams from over 20 countries for 18 years! Your team will compete at world-class facilities while also enjoying everything that the Walt Disney World Resort® has to offer. The AAU is proud to host the AAU World Futsal Championships at ESPN Wide World of Sports Complex. Challenge 3v3 National Championships is the culminating tournament of the Challenge Sports 3v3 tour, which takes place year-round throughout the country. The Jr. NBA World Championship is the NBA's first-ever global youth basketball tournament for elite 13- and 14-year-old teams. The tournament will feature boys and girls divisions, each comprised of 16 regional champions (8 U.S. teams and 8 international teams). Fall is here, but baseball season is still in full swing at ESPN Wide World of Sports Complex. Disney Labor Day Baseball Classic allows you to play one last event with your 2019 summer team! ESPN Wide World of Sports is proud to host the ATA Songaham Fall Nationals again this year. Combining strength and focus with magical excitement, the ATA Songahm Fall Nationals are an experience to remember. ESPN Wide World of Sports welcomes Diamond 9 for their premier national fastpitch showcase event. Top high school athletes will compete in games with over 200 college coaches in attendance. Special Olympics Florida Fall Classic unleashes the human spirit through the transformative power and joy of sports. ESPN Wide World of Sports is proud to once again host the Special Olympics Florida Fall Classic. The Disney Junior Soccer Showcase returns to offer younger age groups the chance to experience a great national competition and top-notch tournament organization. 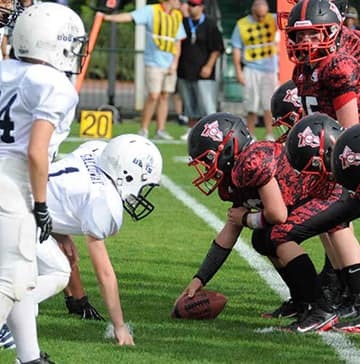 The 2019 Pop Warner Super Bowl will take place December 6 – 14, 2019 at the ESPN Wide World of Sports Complex.